Last month, my husband and I went to Prague, Budapest, and Vienna on a tour. It was a wonderful 10 days and we enjoyed ourselves immensely. I highly recommend going to Europe in the fall. It’s not too cold but the lines are short. 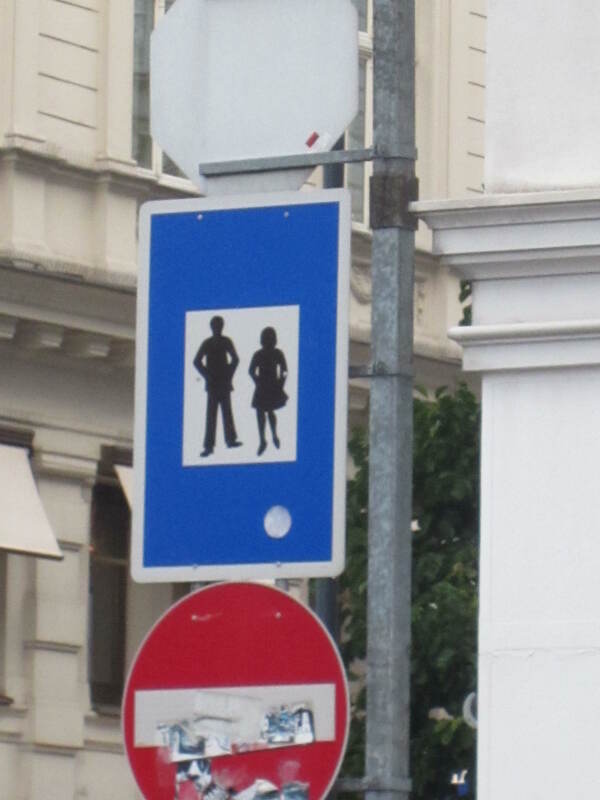 While I was there, I noticed the street signs. 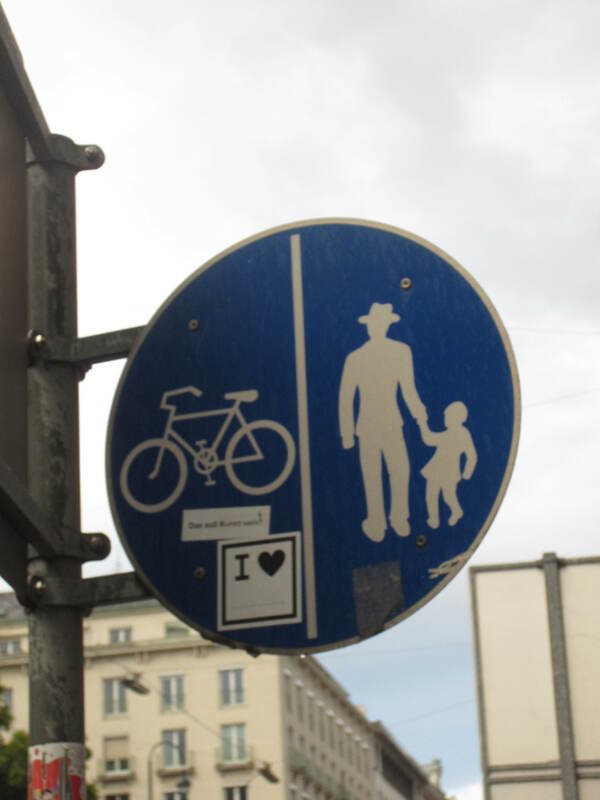 I love street signs. I often wonder what people are thinking when they decide THAT should represent a pedestrian zone or a one way street. I thought, for an extra special treat, I’d share some of my faves. 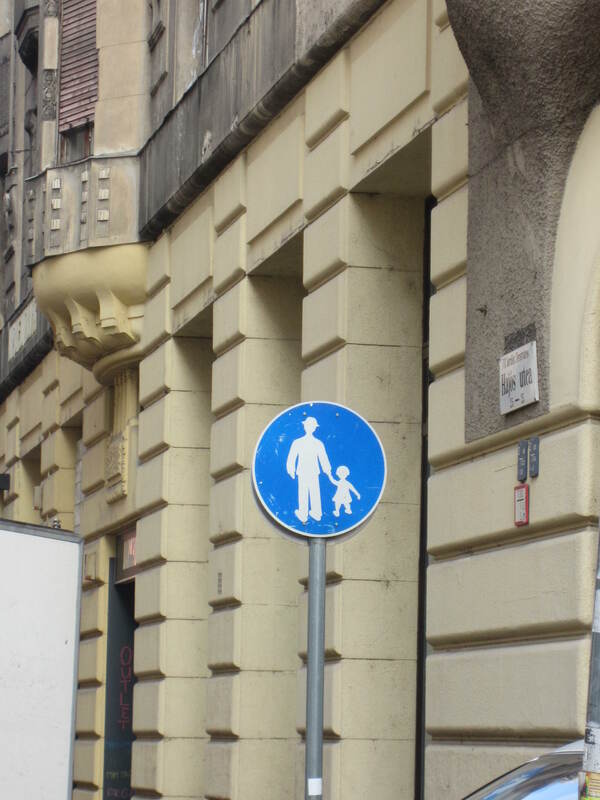 In this area, men in hats can walk holding hands with little girls. And, finally, here men and women can stand around and talk as long as they are dressed nicely. 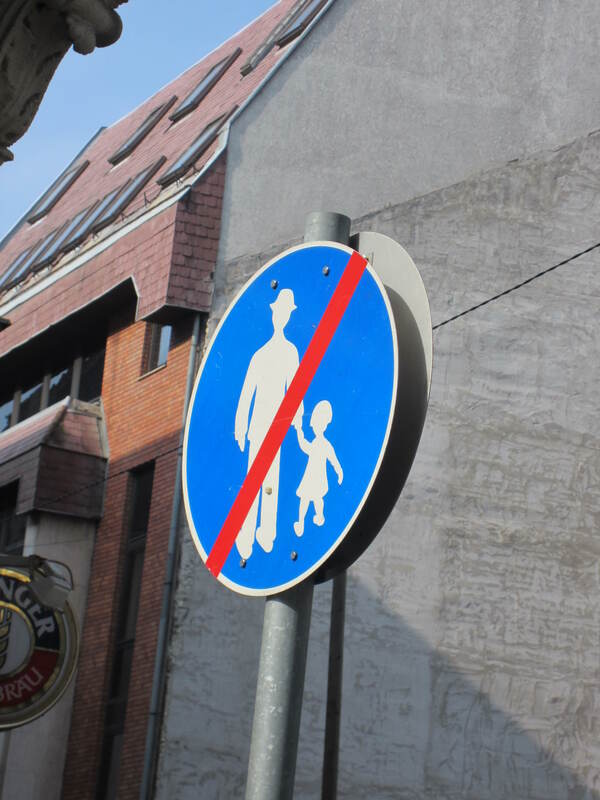 This entry was posted in Uncategorized and tagged Budapest, Europe, humor, pedestrians, Prague, sign posts, Vienna. Bookmark the permalink. We should make it a yearly thing!